There have been several searches of this blog in recent days looking for the poem below. I think it is worth bringing it forward from January 4, 2009. The old year was gone. This poem has been among my sermon notes for many years. It is one of those numerous good illustrations that have come down to us from Anonymous or Author Unknown. 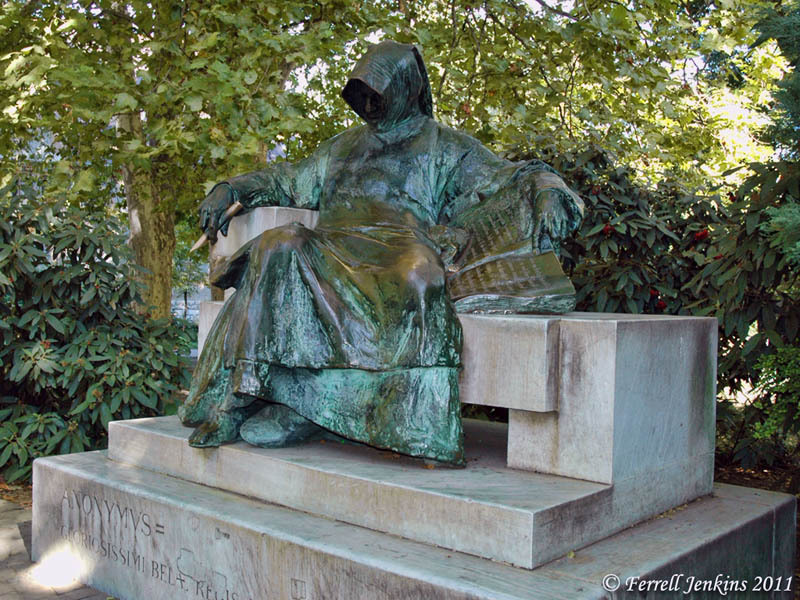 In Budapest, Hungary, near the entrance of Vajdahunyad Castle, there stands a statue of Anonymous by Miklos Legeti. The statue commemorates a 12th or 13th century unknown chronicler of one of the several rulers named King Bela. Statue of Anonymous in Budapest. Photo by Ferrell Jenkins. Note. Don’t use this as an excuse for using other people’s material without attribution. This entry was posted in blog, Photography, Travel and tagged Anonymous, New Year. Bookmark the permalink.